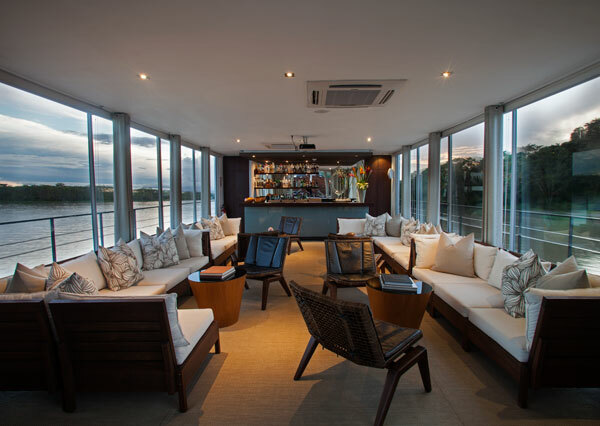 Aqua Expeditions offer adventurous cruises on the Amazon and the Mekong aboard exquisitely designed floating hotels with all the luxury and comfort you’re used to. 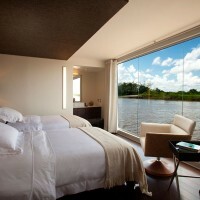 The company Aqua Expeditions, launched in 2007 by founder and CEO Francesco Galli Zugaro, is providing modern-day adventurers with unparalleled travel experiences, cruising the world’s greatest rivers on custom-built intimate upscale floating hotels offering the utmost comfort. Aqua Expeditions began with cruises along the Peruvian section of the Amazon River, one of the world’s last great unexplored regions. 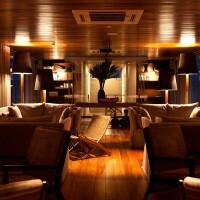 To fulfill his guests requirements, Galli Zugaro commissioned a first cruise ship, the Aqua Amazon, to navigate on this stretch of the Amazon. 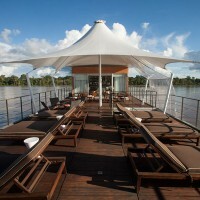 Custom built by the leading Peruvian architect Jordi Puig, the 130-foot long Aqua Amazon set sail in 2008 on the largest river in the world. With 12 outward facing suites, extensive interior layouts and technological equipment, the Aqua Amazon offers a level of luxury unprecedented on the Amazon. Along itineraries from and to the remote Amazonian city of Iquitos, the Aqua Amazon carries travelers to the source of the Amazon and the remote Pacaya Samiria National Reserve. Professional naturalist guides lead small groups of guests to first-hand encounters with the indigenous culture and the exotic wildlife of the rainforest. Small skiff will take you deeper into the narrow snaking tributaries of the river to first-hand encounters with Amazon wildlife to discover pink dolphins and piranhas, capucin monkeys, three toed sloth hiding in the rainforest canopy, and toucans and macaws seemingly gliding effortlessly across the cerulean sky. 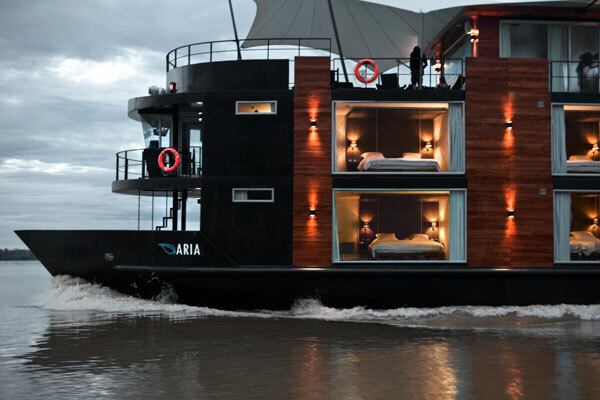 The increased demand for Aqua Expeditions uniquely intimate, life enriching river safari led to the launch in 2011 of a second custom designed vessel, the Aria Amazon. 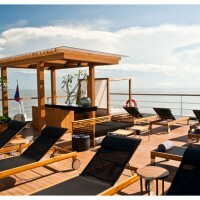 The second cruise ship offers 16 suites designed by Puig with a similar five-star hotel sophistication, and is cruising the same captivating stretch of the Peruvian Amazon, amidst equally thoughtful comforts and fascinating wildlife. 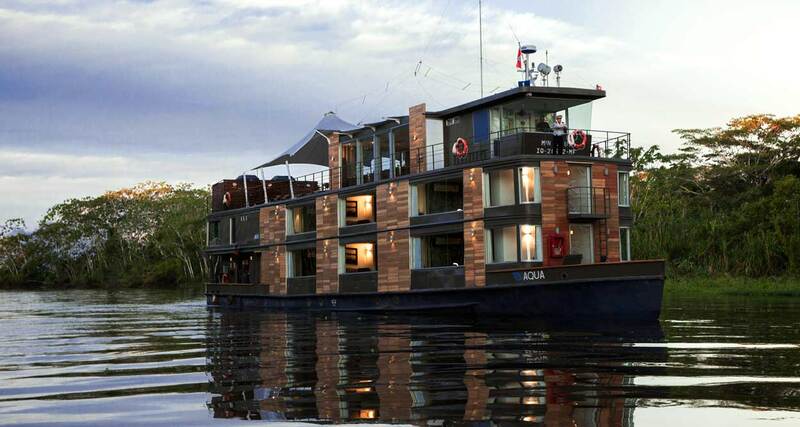 The success of the cruises on the Amazon encouraged Galli Zugaro to set off the continents in search of a second river destination, the next once-in-a-lifetime luxury river experience for Aqua Expeditions. On the Mekong River between Cambodia and Vietnam, he found that elusive journey, one that would capture imaginations as profoundly as did the Peruvian Amazon. 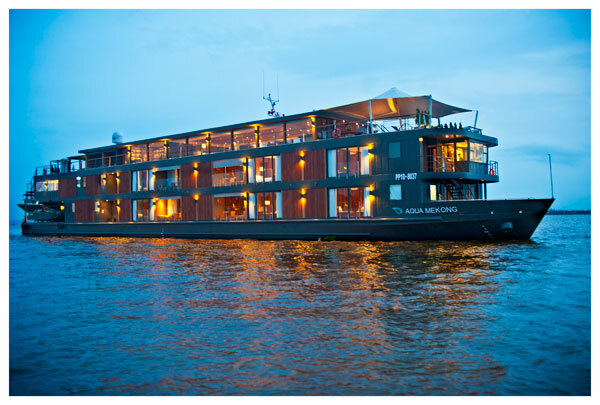 The Aqua Mekong, launched in October 2014, has been designed by the Saigon-based architectural firm Noor Design. 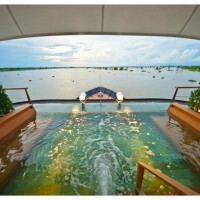 The 205-foot long Aqua Mekong boasts twenty Indochine-style, outward-facing chic suites with floor-to-ceiling windows enabling guests to relax and watch the scenery float by. The luxury vessel is transporting her guests to ancient Hindu ruins, thriving Buddhist monasteries, vibrant floating markets and remote flooded forests. To complete the exclusive thriving avdenturous river cruises, Aqua Expeditions offers its guests the best of the local gastronomy by talented chefs. 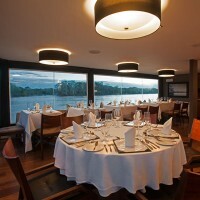 Miguel Schiaffino, celebrated for his innovative Peruvian cuisine, is the Executive Chef of the Amazon river ships, the Aqua Amazon and Aria Amazon. 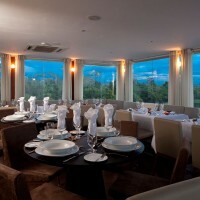 The Michelin-starred chef David Thompson is the Executive Chef of the Aqua Mekong. The Australian-born chef’s Nahm Restaurant in Bangkok is considered a destination in itself for international travelers for first class cuisine influenced by Southeast Asia.